Haven’t booked yet? Click to meet with a Partner! 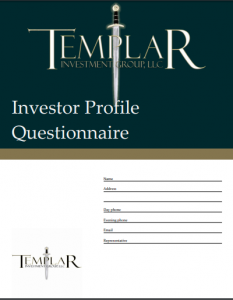 Disclaimer: Principal Risks of Investing: As with all investment funds, an investment with Templar Investment Group, LLC is subject to investment risks, including the possible loss of the principal amount invested. There can be no assurances that the firm will be successful in meeting its objectives. 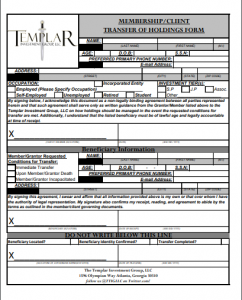 Investment in the Templar portfolio is also subject to market risk, investment style risk, investment management risk, market sector risk, equity securities risk where applicable, portfolio turnover risk, small companies risk, and other risks as set forth in the Fund’s Prospectus. Fund’s that emphasize investments in smaller companies generally experience greater price volatility.